The following extraterrestrial contact was captured by a group of CSETI members during an advanced consciousness training. The event was a result of an invitation initiated by the members using coherent thought and meditation practices, also known as, CE-5 protocols. 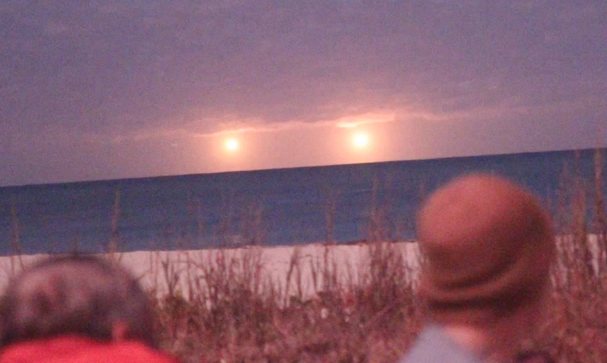 The witnesses are sure these lights are UFO’s, but according to other people, these two lights are artillery illumination rounds or just flares. Here is the interesting footage.